The 1,000 lb (454 kg) capacity ball transfer attachment (JTA) with replaceable ball casters bolts to either side of v-head models. 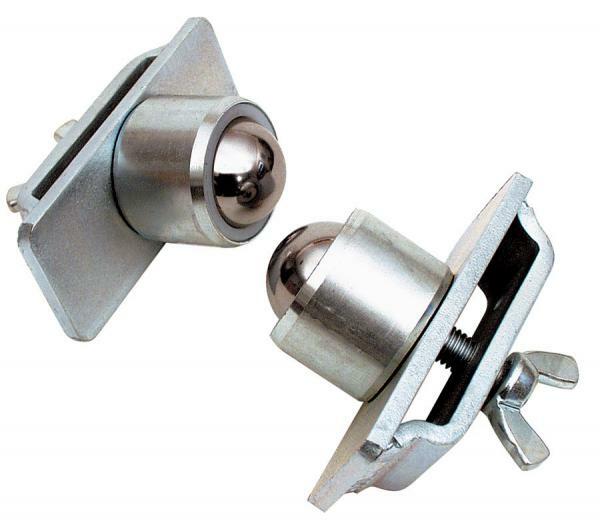 V-HEAD and ROLLER HEAD options are interchangeable on any of the three pipe jacks Reed offers. Ball transfer head JTA attaches to RIDGID® and Sumner® models while all Reed heads and bases interchange with Sumner® and Greenlee®.